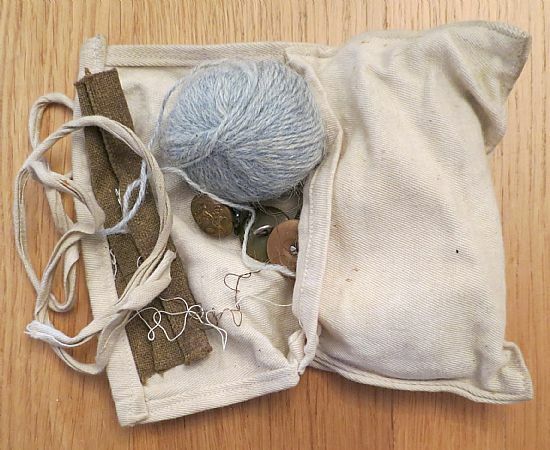 The following photos show the typical contents of a 1937 Pattern Small Pack, as carried by British Soldiers during WW2. 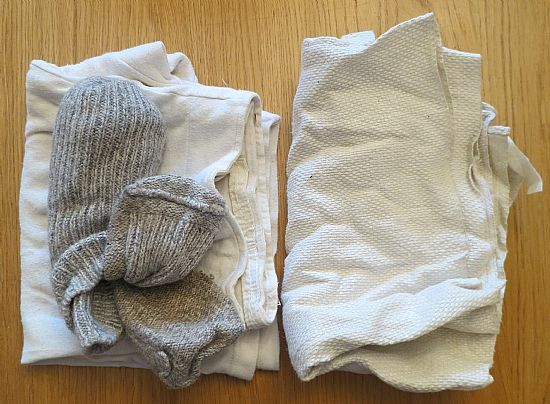 The contents of individuals packs would all be slightly different, but the common themes of rations, spare clothing, and washing items, would be the same to all. 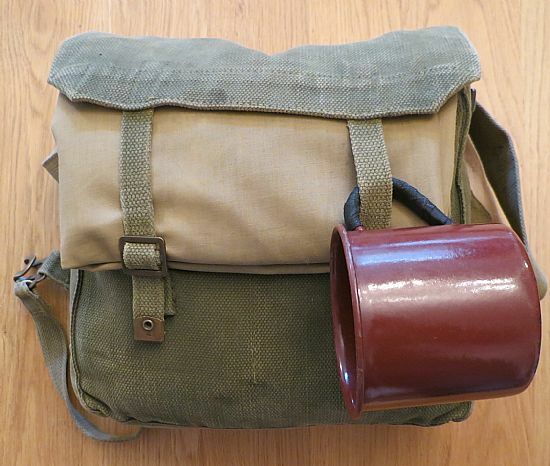 Above: A fully loaded 1937 Pattern Small Pack, with groundsheet cape and issue mug attached to the outside of the pack. Above: The small pack open, showing its contents. 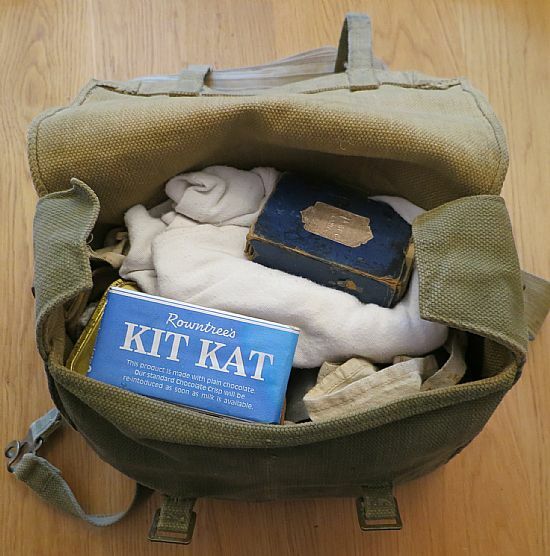 Note the war time "Kit Kat" chocolate bar, and a deck of cards. Above: Spare underwear, issue woollen socks, and hand towel. 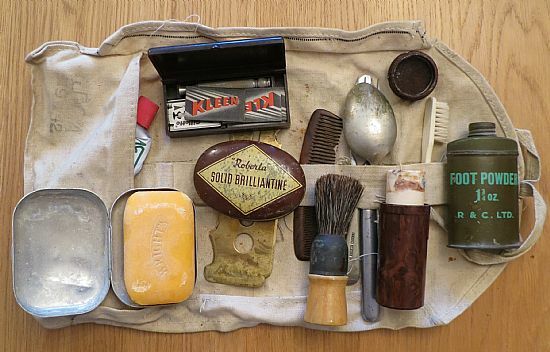 Above: Wash Roll containing: Shaving items, toothbrush & toothpaste, knife/ fork/ spoon, soap, comb & tin of brilliantine, foot powder, and a brass button stick. Above: The issue Sewing Kit, commonly known as a "Housewife". 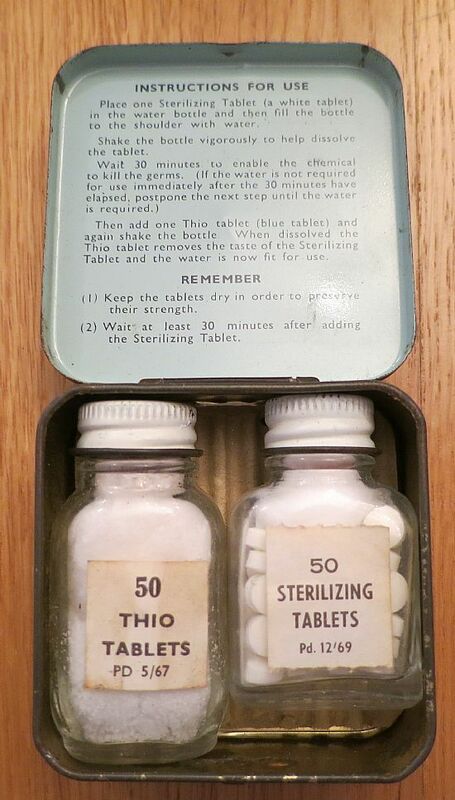 Contains cotton thread, wool, needles, spare buttons etc. 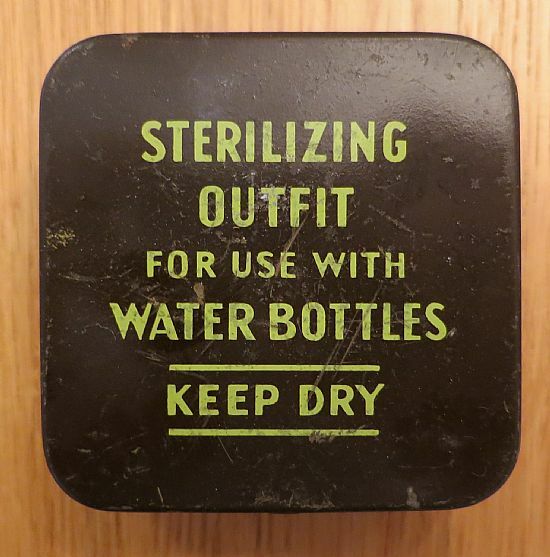 Above: Contents of the Water Sterilizing Outfit. 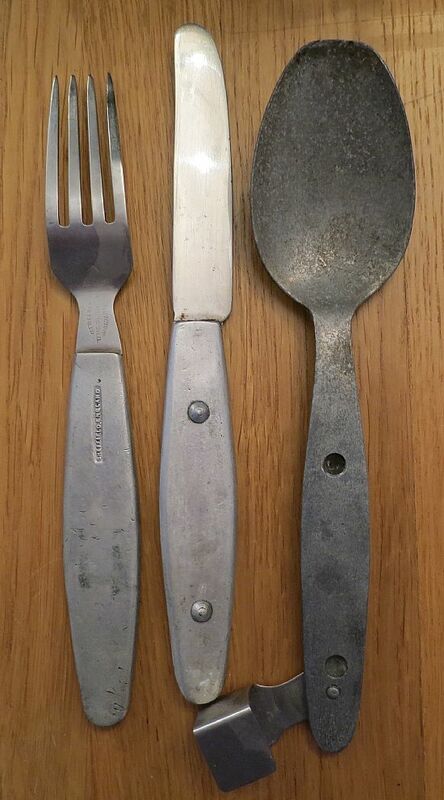 Above: An 1944 Pattern clip-together knife / fork / spoon set. 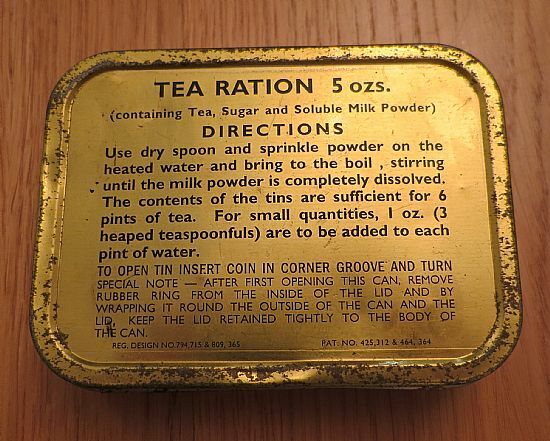 Above: The Tea Ration, contains a mixture of tea, sugar, and milk powder. 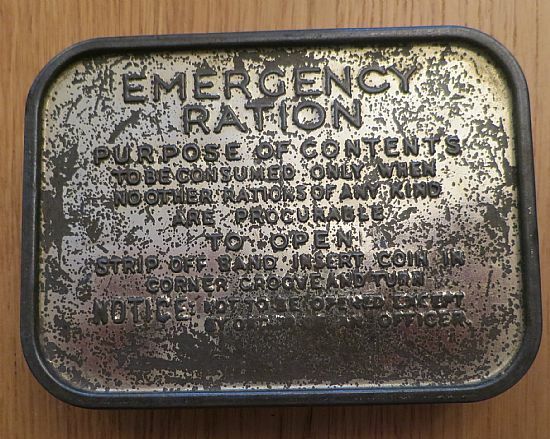 Above: The Emergency Ration Tim, containing vitamin enriched chocolate. 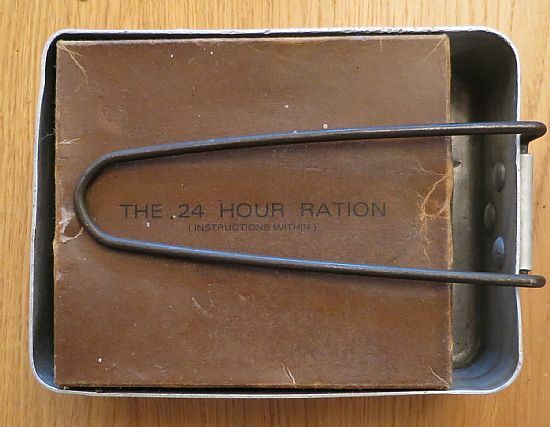 Above: The small mess tin containing a 24 hour Ration Pack.